ProTech Runt J4 / Jalepeno Knife Automatic. California legal. 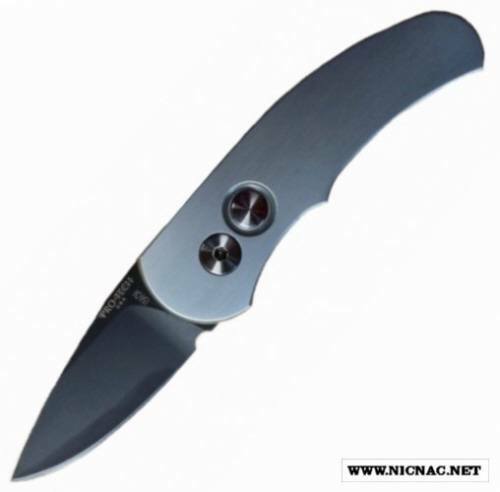 Specs: Overall Length: 5.27", Blade Length: 1.94", Blade Thickness: .110", Blade Material: 154-CM, Handle Material: 6061-T6 Aluminum, Handle Length: 3.33", Handle Thickness: .44", Weight: 2 oz. Pocket clip / tip down carry.